Heathrow, Transport for London (TfL) and the Department for Transport have agreed a commitment to boost integrated rail connectivity to the airport, including the addition of two new Elizabeth line trains per hour serving Terminal 5 from December 2019. Under the plan, services to Heathrow will increase from 18 trains per hour today to at least 22 trains per hour in 2019, of which six will be on the Elizabeth line. A train will depart Central London to Heathrow on average every two-and-a-half minutes – including two Elizabeth line trains per hour to Terminal 5. Journey times to Heathrow from Bond Street will be 27 minutes, Liverpool Street 35 minutes and Canary Wharf will be only 39 minutes away on a direct train. There is also an ambition to add further services in the future. A joint feasibility study is underway to look at delivering a further two Elizabeth line trains per hour to Terminal 5 meaning eight Elizabeth line trains per hour serving Heathrow, as well as additional work on developing western rail access to Heathrow. “Heathrow’s aim is to add further services in the future. 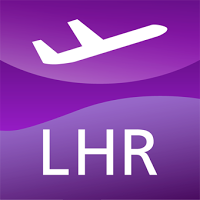 The airport has launched a joint feasibility study with TfL to look at delivering a further two Elizabeth Line trains per hour to Terminal 5 – which would mean eight Elizabeth Line trains per hour serving Heathrow – as well as looking into additional work on developing western rail access to Heathrow from Reading and beyond.